The more professional a warehouse looks, the higher the credibility of the company that owns it. The layout is essential to business. If the warehouse is not optimized, not only does it have a hodge-podge appearance, losses in productivity occur, space issues are experienced, and storage inadequacies must be dealt with. A warehouse with a professional look can avoid common pitfalls. The warehouse and the handling of the material process are elevated to peak performance and efficiency. Every warehouse has unique elements to consider. Something that is common to all is the relationship between space and money. To achieve maximum efficiency of space and to give a warehouse a more professional look, the best use of space must be employed. Modern warehouses use a wide aisle pallet racking system to store goods that are loaded and unloaded by forklifts. Equipment and system suppliers are resources to use for layout suggestions. They have a scope of supply and expertise that can define a solution. Other considerations are lighting, safety and health, restrooms, and loading zones. The visual tasks of warehouse employees vary greatly. Loading docks need general illumination for efficient material movement and safety. Supplemental lighting, in addition to typical overhead lighting, provides illumination into a container or trailer. Document reading in receiving and shipping areas requires quality lighting with shielding from glare provided by reducers such as louvers or lenses. Task lighting at individual work-stations is necessary. Open storage areas call for lighting that has a balance of horizontal and vertical illumination. Sometimes the term ‘warehouse’ congers up the image of a cavernous, dark space. The right lighting scheme gives a warehouse a professional look as well as providing workers with a safe and comfortable place to work. Another area to address, regarding the look and safety of a warehouse, is the floor. Epoxy flooring is ideal for meeting both requirements. Warehouses are tough flooring environments, which combined with heavy traffic, can cause low spots, potholes, breakage, and spills. That kind of surface wreaks havoc on suspensions and wheels of equipment. Ideal epoxy flooring exhibits an easy-to-clean, seamless, durable, level finish that provides a permanent solution to warehouse flooring needs. There are epoxy coatings that can withstand even the usage of the heaviest vehicles, including heavy warehouse equipment and forklifts. 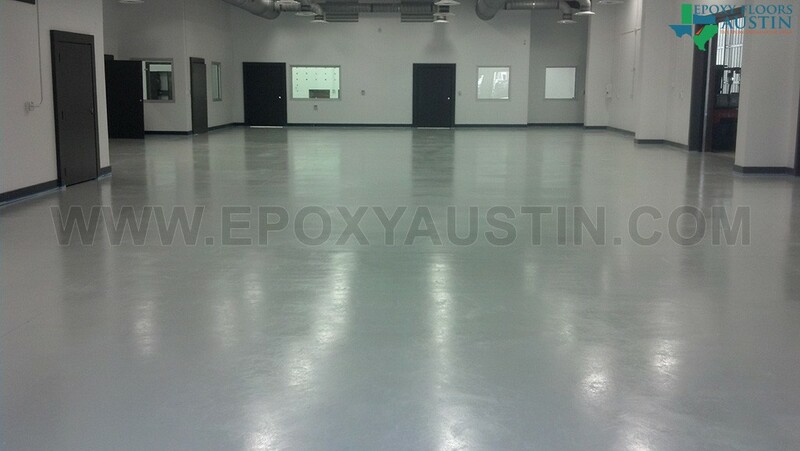 An epoxy system provides abrasion resistance, dust proofing, and clean-ability. All of this is in addition to the grandeur appearance of professionalism epoxy provides.